Highland Park produces some of the best single malt in Scotland, while Gordon & MacPhail is the most established (the grandpa, if you will) of independent bottlers. What could possibly go wrong? 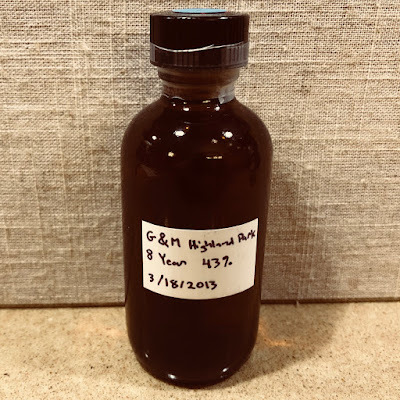 Well, the 40%abv version of G&M's 8yo Highland Park was flat watery crap, disappointment in a glass. 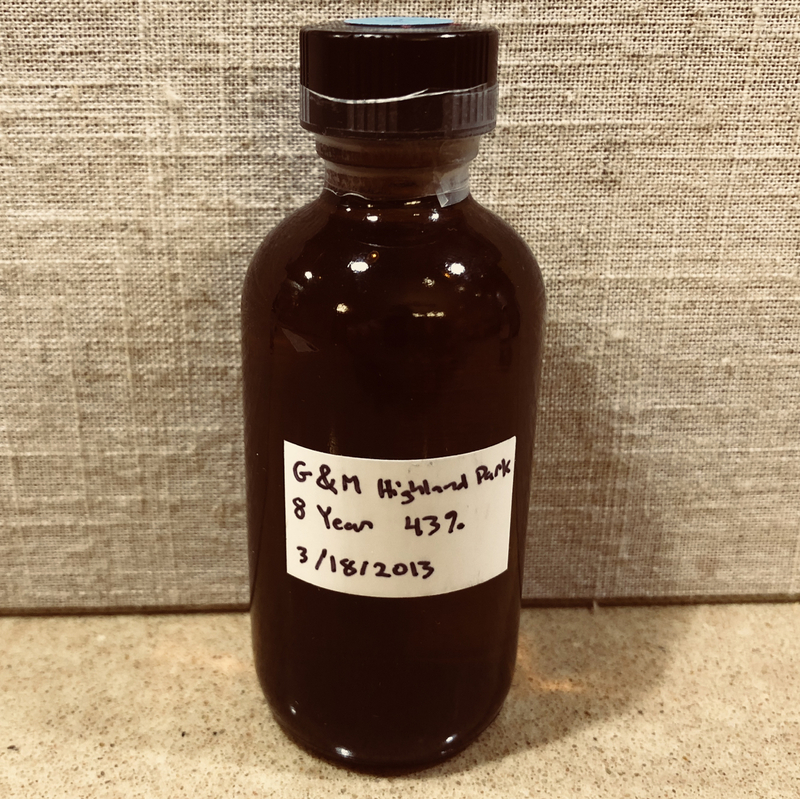 I had no idea G&M had given it a 43%abv reboot until Jordan, of Chemistry of the Cocktail, gave the whisky a positive review. Many thanks to Jordan for sending me a sample from his review bottle so that I could also give it a try! Its color is light bronze. The nose is bright and fresh with fruity notes, like apples and green grapes. There's a fascinating floral sake note that sits well with the whisky's subtle earthiness. The palate is sharper and hotter than the nose. Tart, sweet, smoke, pepper, mineral and vanilla notes stay in balance. A squirt of lemon juice lingers throughout. It finishes sugary and tart, with peppery smoke and some flower kiss candy. Still plenty of fruit in the nose. Barley and caramel. A little bit dusty and papery. The palate becomes very thin. Barley and lemons. Lots of sugar. Tangy and peppery. It finishes sweet and peppery, a little bitter. Some burnt wood in there too. This is a significant step (or two) up from the 40%abv version, especially if you leave it neat. While the whisky isn't going to break any hearts or records, it's good as an everyday drinker. In fact, I'd say it's slightly better than Glenfiddich 12 for that purpose. The palate has a little fight to it, but it otherwise delivers a pleasant drinking experience. The nose is very pretty, in a clean newmake sort of way. It's tough for me to recommend this for $50 because I don't see why beginners' single malts should cost that much. But for $40 or less, it's not a bad choice, especially since options are limited at that price range. I will certainly seek out my own bottle soon.